I believe $27000 or so. That car has major issues, was for sale here for a long time. I think that was the one that the two guys owned and there were some cosmetic and mechanical issues that weren't disclosed to a potential buyer that flew out to meet them. There's a thread about it somewhere in this forum. I recently went to look at this car and can confirm everything that I've seen posted minus the vibration. I can also confirm that it does in fact have the original CR suspension on it. Mechanically the car is in good shape but it's a cosmetic mess. I think since it's a CR people's expectations are high especially based on the price it's listed for. I did make an offer after talking with my friend that owns a body shop. He sat on the phone with me while I was at the dealership and he priced out a complete tear down/respray and replacing most of the plastic/rubber trim along with the front bumper. He came up with a price of $4k at his cost. I took what I was willing to pay for the car minus the $4k and made an offer. They are still calling me from time to time but we will see what happens. The biggest issue that I could find with car was the shoddy windshield replacement job. If I end up buying it I would replace the windshield with proper OEM glass. Most everything else is in decent shape. Issues with the seat wear etc are non relevant to me as it's typical of a car that's been driven. The chassis and bones are in good shape and really that's the most important part as everything else can easily be remedied. I can second this, i went to the dealership 2 days ago and honestly the car is not an abomination as many have made it seem. Driving it, it seems perfect, I obviously only went on a test drive but it was solid. Cosmetically, there is a lot of small things. The type of stuff that if there were 1 or 2 of the issues it would be ok. The front end is sandblasted, rock chips everywhere. The windshield rubber is coming off and looks very ratty (as documented above) and there are various scratches and small dents around the car. It is an overall rough example however would make a good driver. It isn't a terrible car however it is not priced accordingly. Wow, what a steal, that car is worth 30+ granted its in good condition. There is a lot of work to be done on that car. Its not worth the asking price or no where close to it. Its been sitting for a month or more now.. There is a reason why its sitting for so long. 1) axles, it had spacers on it, not sure why maybe it was modded once. The car pulls to the left noticeably, who knows while replacing the axles will you uncover more problems with the drivetrain? You are chancing it with the drive train to uncover more issues, trying to be aware and cautious. 5) When I saw the shocks I could barely read out the numbers on the rear 52610 I thought cr shocks started with 52620 but it appears they were 52610 that got discontinued, any idea how you confirmed the shocks are original cr yip? When the car's suspension was modified I got worried the prior owners might have done a switcharoo. The suspension makes a lot of noises on that car. 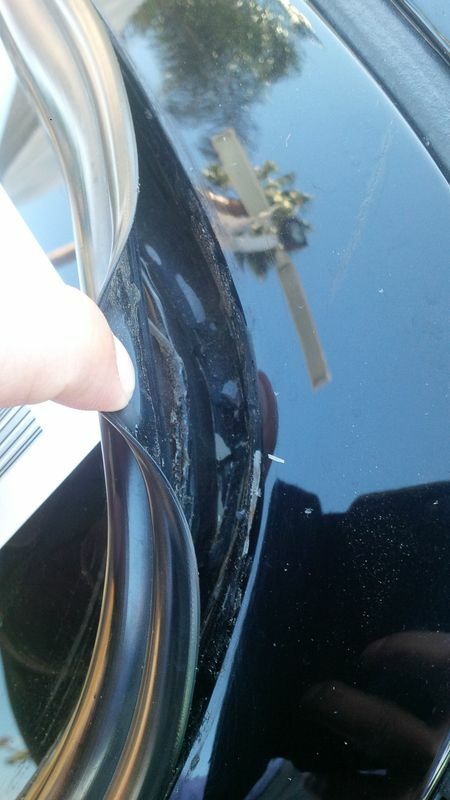 6) there are dents scratches around the car which Im sure a pdr guy can correct. I liked the clutch, seems like the prior owner may have put in a nice exedy stage 1 clutch (not sure though it grabbed good). Keep in mind that the car was previously privately listed and was about to sell for 24,500 but looks like the buyer and seller couldnt agree to 24,000 and the car ended up being traded in. Im pretty sure that it was traded in for much less than that as well. Hey, I get it... it's not worth it to you but maybe it's worth it to me. Had I been looking when it was originally listed I might have purchased it. Quite a few people on here are acting like the car was totaled and it's been put back together with wood screws and bondo. Spacers don't bother me and if it requires new axles, diff rebuild or a drive shaft rebuild then so be it. You say the car pulled when you drove it but I've confirmed by being underneath the car that nothing is bent or broken and that the suspension is OEM. My budget for a CR is $35-$40k. I'm confident that I can remedy all of the issues that you have listed within that price range if they accept my offer. We will see if the dealer comes down to my price. They seem to be calling me once a week to check in. I do feel that the previous seller miss represented the car and that the guy who flew out to see it should be upset. Good luck, I hope you get it man, not trying to get you down, I'm just sharing what I saw with the car and also whats been previously posted on the forums just trying to help you out really. The car pulls to the left, if you drove the car you should have noticed that. Who knows whats wrong, maybe its the suspension, maybe alignment or even the tires, but its definitely there. I'm sure you'll address it when you get it. It's a great car, hopefully they work with you on price so you feel confident with the purchase. No offense, but if that's your budget for a CR, why bother with one that needs work? Get a pristine one that needs nothing, and end up with a car that will be more enjoyable and appreciate in value more.